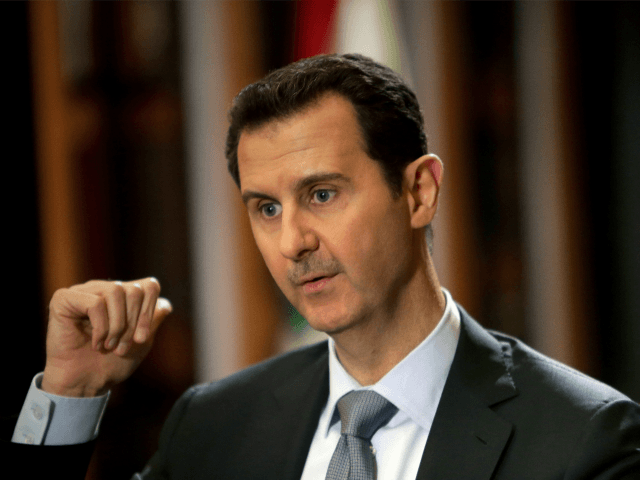 A document allegedly leaked to Western media by a group of Alawite leaders claims Bashar al-Assad’s religious sect is “dissociating” itself from the Syrian dictator’s leadership. The document, allegedly leaked by anonymous “notables” within Assad’s Alawite sect, was obtained by The Telegraph and BBC. “Some Alawite leaders are challenging the intent and legitimacy of a document leaked to Western media, presumably issued by Alawite notables, that proclaims an independent Alawite identity and breaking all ties with the Assad regime,” reports Al-Monitor. The Telegraph reports that the document was secretly smuggled out of Syria and shared with a handful of European journalists. That is significant because the regime’s support from Iran is partly explained by the historic links between their beliefs. It says the group should abandon its longstanding persecution complex – the Alawites have often been marginalized and oppressed, a historical trend that has been used to explain its aggression against the Sunni majority under the Alawite Assad regime and particularly in the civil war. Its members have been accused of repeated massacres of Sunni civilians. Anonymous Alawite sheikhs reportedly said the document was not calling for Assad to step down or advocating any solution to the Syrian crisis. In fact, some document authors reportedly support Assad’s presidency, notes The Telegraph. BBC adds that the document makes clear that Alawite leaders embrace “the values of equality, liberty and citizenship,” and call for secularism in Syria and a system of governance in which Islam, Christianity, and all other religions are accepted. They confirm the independence of their sect by declaring it with transparency. They are calling for a mutual forgiveness with the Sunnis. They have forgiven the fatwas — issued by Ibn Taymiyyah and his successors [in 1263-1328] in Damascus, which viewed the Alawites as infidels and persecuted them — provided that the Sunnis forgive the Alawite authority’s violence over the past four decades. These Alawites are distinguishing themselves from the regime, without opposing it.